Our goal in Mergado is to make complicated tasks as simple as possible. Creating rules is the most typical area where simplicity can help users achieve the same results with marginal efforts. And simplicity will be our topic today. In the above example, the user is trying to remove sizes from the product name (the PRODUCT attribute). To achieve this, he is correctly using the "Find and replace" rule. However, he created 4 rules to find and replace all possible occurrences of the size in the text. The same result can be achieved with one "Find and replace" rule only. 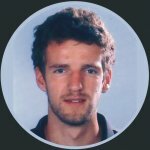 Create one "Find and replace" rule containing a regular expression. The searched text should be separated with a vertical bar, representing “OR”. Check "search with a regular expression" and type this into the Find field: XL|”XL”|- XL|, XL. The result will be the same as if 4 rules were searching for each possibility separately. If you wish to remove also other sizes (not only XL) you can include them all in one rule. However, this would be a pretty advanced regular expression. Contact our support to make sure you get it right. Another example is simplifying the settings of product parameters. 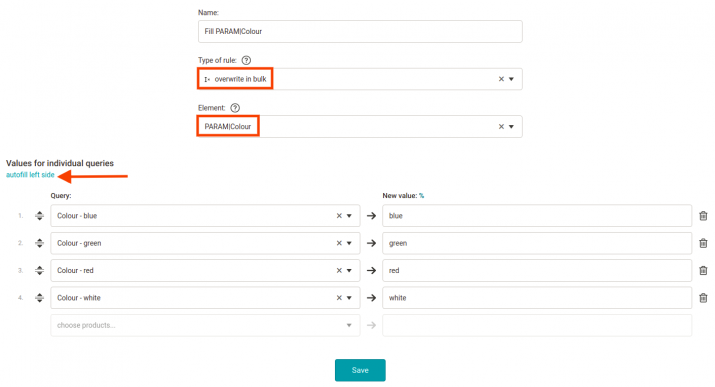 Above is an example where multiple rules were created to fill a saved product query with a parameter value. This will get very complicated with the growing number of colors in your feed. The more colors, the more rules need to be created. If the color would be mentioned always at a given place in the text (e.g. at the end of a product title), we could use a regular expression to input the color into the variable. This would eliminate the need to create product queries for each color and would make it even simpler. In another example, the user decided to map categories using several separate rules. In this case, we can simplify the task by using the “Rename categories in bulk” rule. Try the powerful “Overwrite in bulk” rule. It will whisper a possible value from the selected attribute while you type. Make your life (managing your product campaigns) easier. 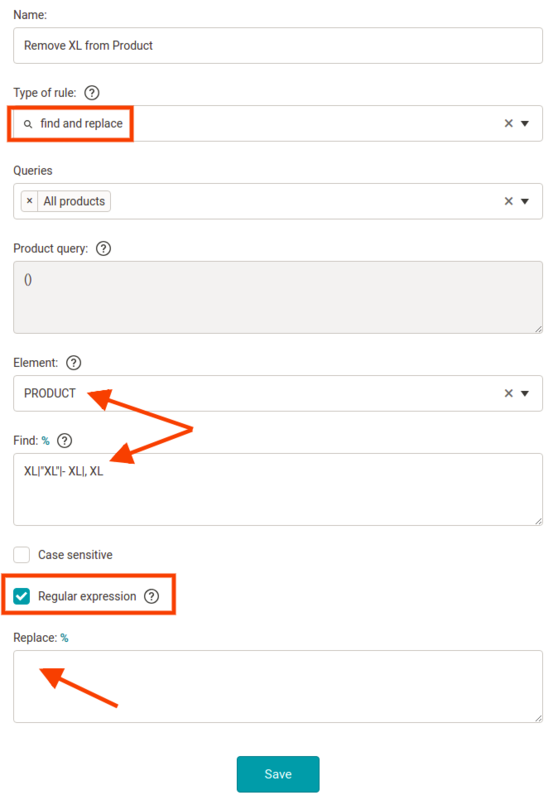 Get started with regular expressions and our bulk rules. If you need assistance, don’t hesitate to contact our support. We are ready to help you.